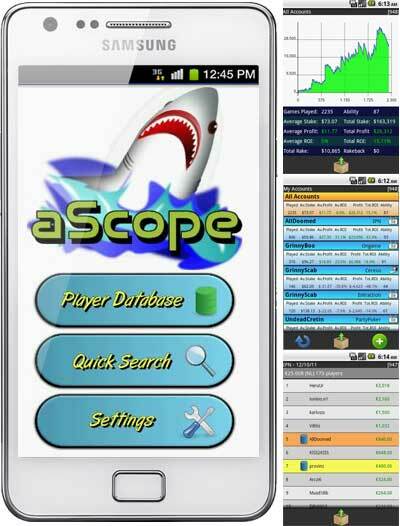 Following on the release of the iScope the iPhone app we’re pleased to announce the release of aScope, an Android application for displaying your online poker tournament results. As with the iPhone app it connects to the SharkScope service for the best and most up to date statistics available. Remember if you have an idea for a mobile application you’d like to create based on SharkScope data, or any other type of application for that matter, we have a full API available for 3rd Parties. We’re looking for someone who based in Italy to help test the SharkScope HUD on various Italian networks and to create accounts there to help our developers fix bugs etc. If you interested please contact support@sharkscope.com. It will most likely require only an hour a week and the tester will get free access to the HUD and $100 a month. The data center we use is one of the largest providers of such services with a global network and multiple redundancies. Sadly however, not even the most well resourced companies are immune from the effect of a sophisticated DDOS attack. We are following up closely with our provider and keeping the pressure on to restore stability to the site. issues as we have other redundancies in place. We’re very sorry for the inconvenience to the effected users.